I took Alex, my five year old, to the farmer’s market the other day, I was going to go by myself and enjoy some quality alone time, but when I mentioned that I wanted to get some beautiful flowers at the market he said “but you can’t get the flowers by yourself, I have to help pick them out or maybe Daddy should do that”, so he came along, and wanted to get the first bunch of flowers he saw, I had to explain that we should look at all the stands and then decide which ones to get, and of course we also ended up getting some leeks, spinach, mint, parsley, apples, radishes, a patio tomato plant, and some asparagus. Asparagus was not on my list because I got a lot of it the previous week and was in the mood for something different, but the minute Alex saw the asparagus he begged for it, he loves it, so how can you resist when your child asks you to buy something that is healthy for him, and the asparagus looked beautiful. Now, I don’t really consider myself to be a baker type of person, at least not a very good one, and I am always in awe of the amazing things that friends and other food bloggers are able to create. I loved baking when I was kid (it was so great to make cookies and cake), and my mom has always been an excellent baker, making everything from scratch. I’m not the kind of person that bakes fresh bread and cookies every week, though I’m sure my kids would love that idea, we do bake Christmas cookies mainly because I have such good memories of doing that as a kid and want them to have some nice holiday memories, and I might bake a cake once a year as well. However I do love making tarts, which I like to think of as big open faced empanadas, and just like empanadas I like making both savory and sweet tarts, but I have a weakness for the savory ones. I used another of my favorite ingredients in this tart: goat cheese, and since I made two tarts I played around with the filling, for the first one I mixed the goat cheese in with the cream and eggs, and for the second one I simply added the crumbled goat cheese on top of the tart before baking. I thought that the first would have more of the goat cheese flavor infused and distributed better throughout the tart, but actually the second one with chunks of melted goat cheese on top worked better and also had a more rustic look to it, but regardless both were consumed in a record amount of time. The quantities below are for one 9 or 10 inch tart. Bring a small pot of water to boil with a pinch of salt and add the asparagus, boil for about 2 minutes, drain and place in ice cold water to stop the cooking process, drain again to remove excess water. Melt the butter over medium heat, add the onions and cook until soft and translucent, about 8 minutes. Combine the eggs, cream, salt and pepper together, mix well. Add the crumbled goat cheese to the cream mixture or if desired add the goat cheese at the end of the tart assembly process. Line the bottom of the partially baked tart shell with the asparagus pieces. 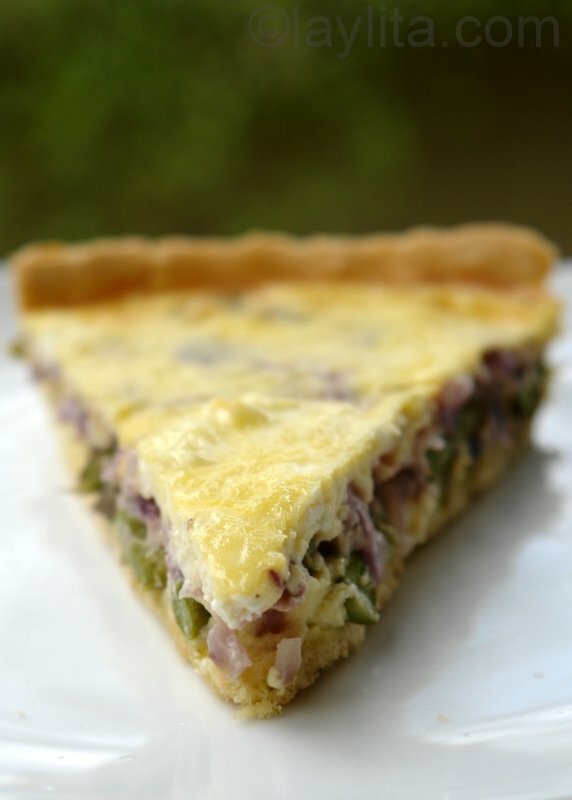 Add the cooked red onions on top the asparagus pieces and spoon the cream mixture into the tart over the asparagus and onions. Sprinkle the goat cheese on top (if it wasn’t included in the cream mixture). Place the tart pan on a cookie sheet (already pre-heated) to keep any leaks from spilling and making a mess in the oven. Bake for about 25 minutes or until the filling is set and the top begins to golden. This looks amazing. I just finished baking 12 mini quiche cups. 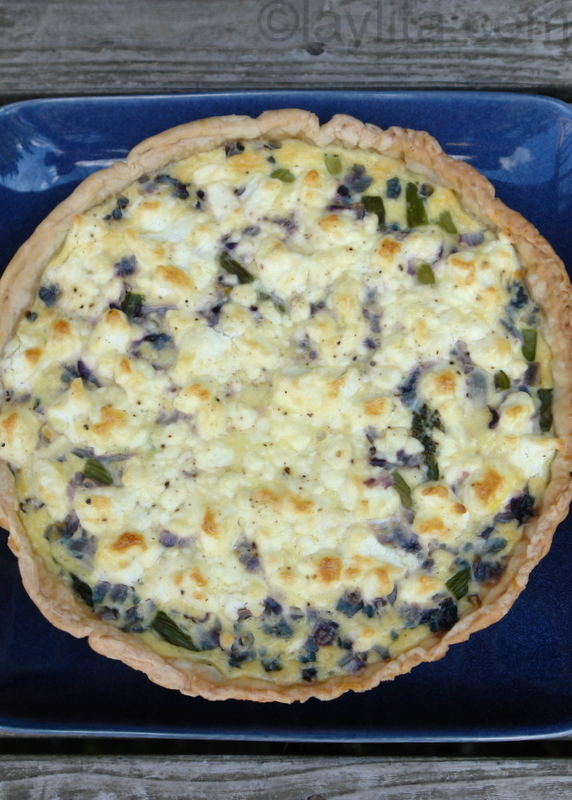 Very similar to this tart but I used spinach instead. This will be my next assignment to try asparagus in place of spinach. 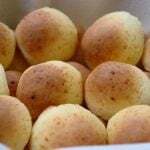 This is a delicious and easy recipe. I am making it for the second time today. We do the version with the goat cheese on top at the end of the recipe. 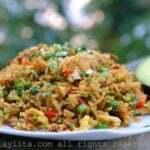 You could easily add a meat to this if you wished to. I think you’ve just certified yourself as a baker type of person :) This looks pretty damn good! Oh, this is absolutely delicious looking! 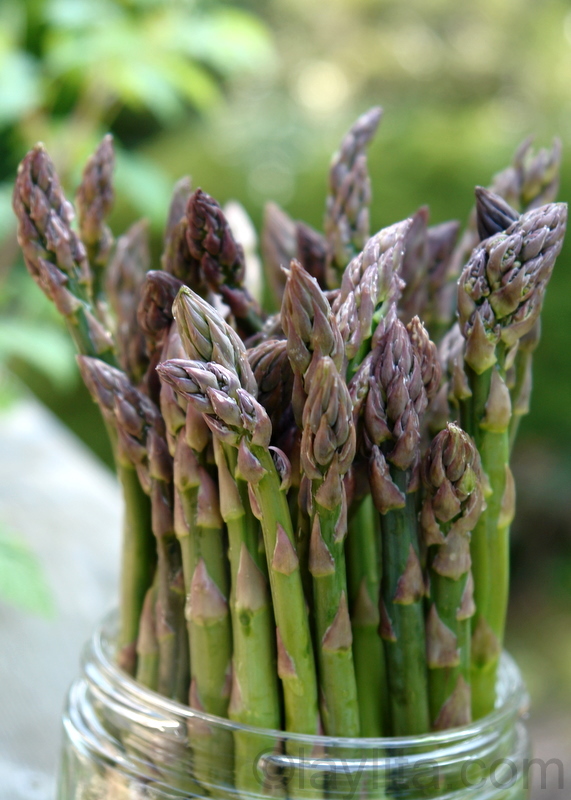 I am hunting for asparagus in the market this weekend! Wow! This looks too good to be true. I love the combination of goat cheese and asparagus. It is the very essence of “springtime”.